We’d love your help. 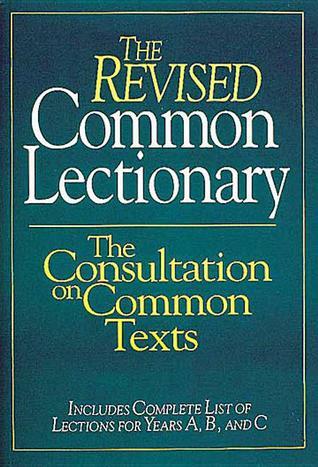 Let us know what’s wrong with this preview of The Revised Common Lectionary by The Consultation on Common Texts. This historic and authoritative volume contains the complete three-year listing of the Revised Common Lectionary (Years A, B, and C) to guide preaching and Scripture reading on the Lord's Day. Abingdon Press. Also included are an introduction explaining the nature and uses of lectionaries and a brief history of the Consultation on Common Texts. To ask other readers questions about The Revised Common Lectionary, please sign up.